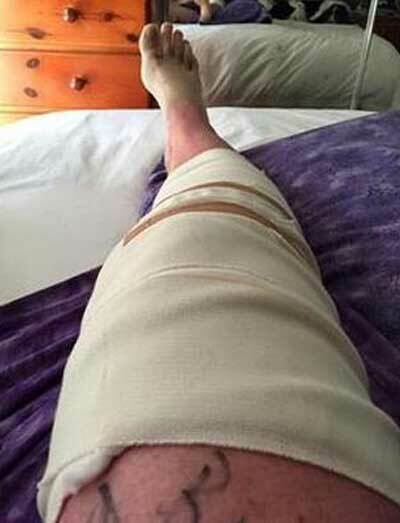 A woman mauled by a wombat has warned others to stay away from the marsupials. Kerry Evans suffered more than 20 bites and lacerations across her body after she was attacked by a large wombat while walking her dogs in a suburban street in Banks, south Canberra, Australia, on Monday night. 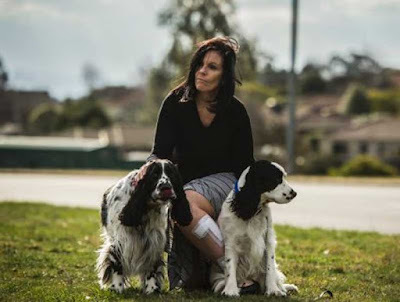 She said she was taking her two English springer spaniels along their usual route at about 7.30pm when she saw what appeared to be a "large boulder" ahead in a front yard. "I thought 'I don't remember seeing this before' and I got quite close to it and I saw it move and all of a sudden it dawned on me what it was," Mrs Evans said. The wombat charged her dog, Murphy, which began yelping and tried to flee. In the chaos, Mrs Evans became tangled in the leads and was knocked to the ground. That's when the wombat turned on her, she said. "I was laying screaming for help, I couldn't get away from it, every time I managed to get up it attacked me and bit me and knocked me to the ground," she said. "I really thought I was going to lay there and die that night because I just couldn't see how I was going to get way from it, it just wasn't stopping its attack." A neighbour and nearby driver were able to intervene, an act Mrs Evans said may have saved her life. "One woman screamed 'let go of the dogs' and I wouldn't because my dogs were terrified, I was scared of them running off in the dark so both ladies approached from different angles and grabbed the dogs off me and got away pretty quickly because they were scared of being attacked themselves," she said. "Then I managed to get to my feet and get away to the lady who was screaming 'come here, come here' and the wombat just disappeared." Paramedics were called and Mrs Evans was taken to hospital. An ACT Health spokeswoman confirmed she was treated at Canberra Hospital on Monday night. 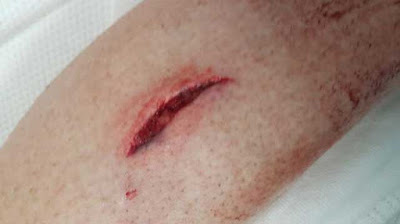 Three of the large, slit-like bites from the wombat's "buck teeth" required stitches, but Mrs Evans said the real problem was the potential for infection. "When I was in hospital I had to have quite a few bags of IV because they don't know enough about the risk of infection from wombats," she said. "They even had to go and make sure I didn't have rabies. I know that sounds silly in Australia but the doctor actually had to go and check on that." Mrs Evans reported the attack to ACT Parks and Conservation but rangers were unable to find the wombat, she said. "The ranger I spoke to said he'd actually contacted a wombat carer and she said to him although she hadn't heard of attacks, she'd seen them attack other wombats and that they could be very vicious," Mrs Evans said. "So she could imagine my description how it could have happened because once they start attacking, they just keep attacking and they don't stop." While rare, wombat attacks on humans are not unheard of. An ACT Parks and Conservation spokesman said it was the first wombat attack they were aware of in Canberra. "Without knowing the full details of what happened it is likely that the presence of dogs meant that the wombat felt threatened," he said. However, Mrs Evans said neither she nor the dogs approached the animal. "I certainly know the dogs didn't threaten it but whether it felt threatened I don't know, who knows what a wombat thinks," she said. 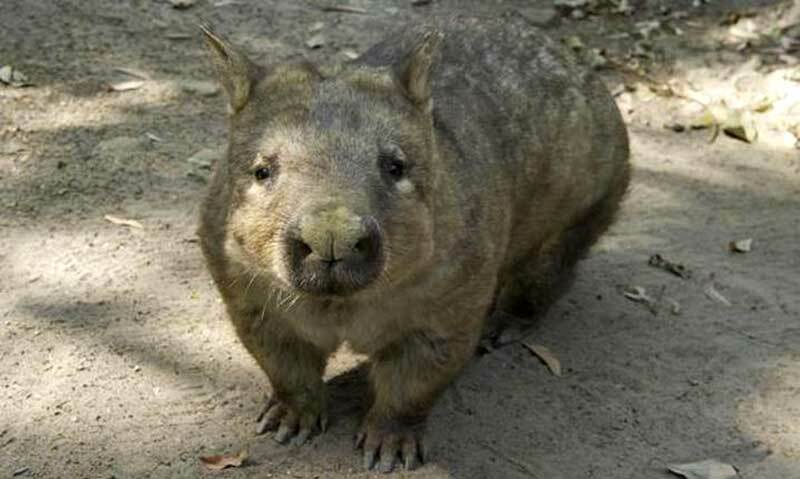 "The ranger did actually say to me it was really unusual because most wild wombats would get away. They wouldn't let anyone get as close to it as what I did, so whether or not it was sick with mange or had been injured or was an aggressive wombat or whether it was a female with a joey in its pouch, I don't know." Her message to others is: "If you see a wombat, turn around and go the other way. Do not approach it in any shape or form." I guess I'll have to give up y dream of having my own cuddly little wombat.